Mens floral sock from Gresham Blake. Onesize fits all. 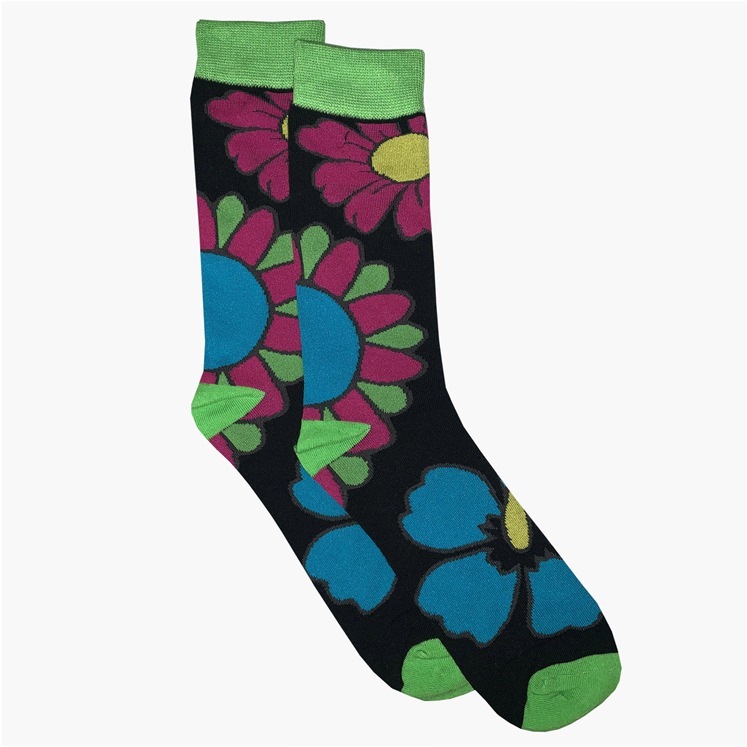 Black sock with a acid bright floral design and lime green tipping.